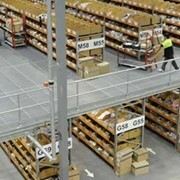 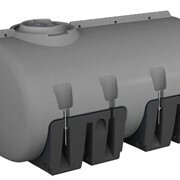 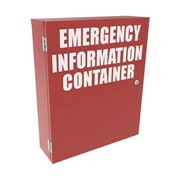 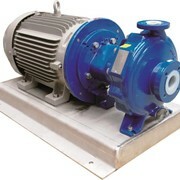 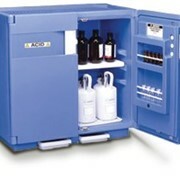 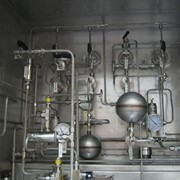 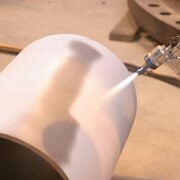 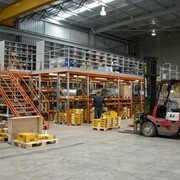 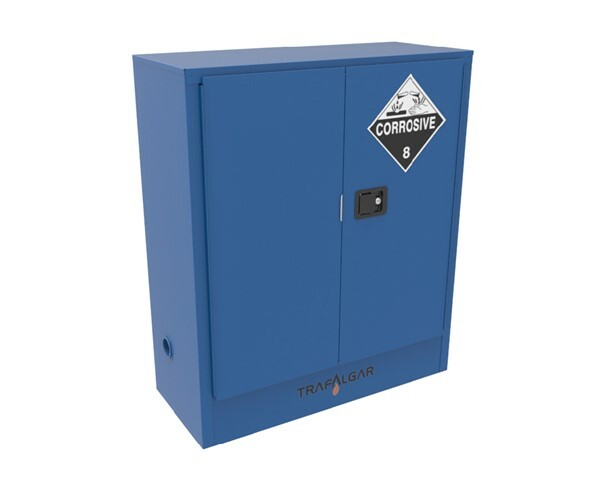 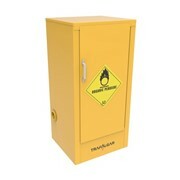 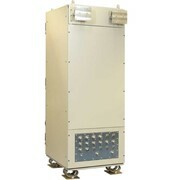 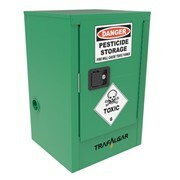 Suitable for safe storage of class 8 corrosive substances. 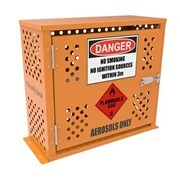 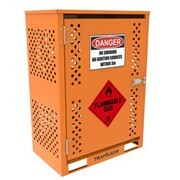 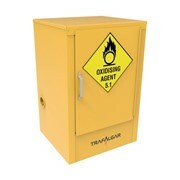 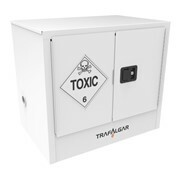 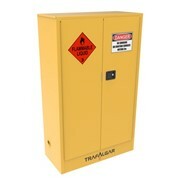 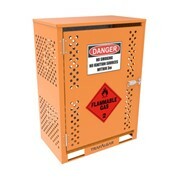 A Class 8 dangerous goods label with sides of a least 100mm nominal. 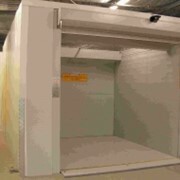 Patented self closing sequential door mechanism on double door cabinets allows for right door to stay open at 7 locking positions between 20 – 90° for easier loading and unloading.